In the mist and the rain, winding across the golden-green savannas toward a secluded hilltop, I felt as if I was returning someplace I’d been before. Hanging high over Kenya’s Great Rift Valley, Angama Mara safari lodge sits in the same setting where the most iconic scenes of Karen Blixen’s Out of Africa were filmed. 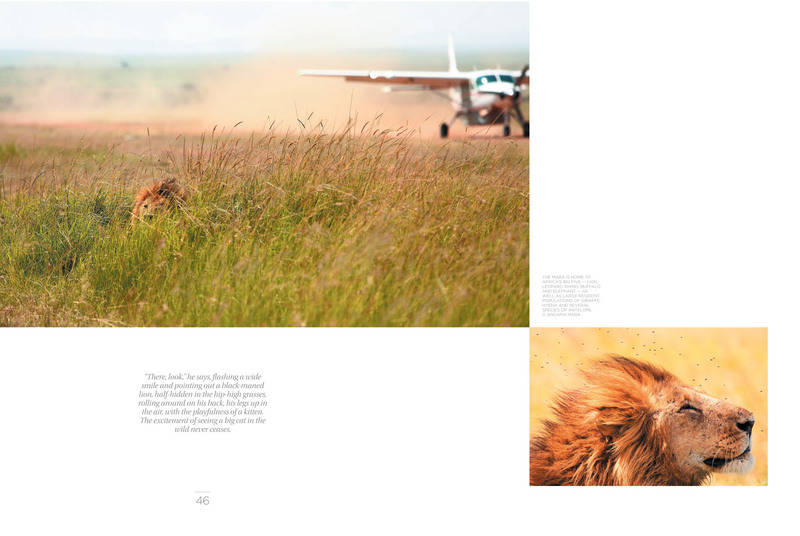 It’s a soul-stirring dream of a place that seems to float 1,000ft above the Mara Triangle, the densest wildlife habitat in Africa. Way before Richard Branson started colonising Africa with his luxury eco lodges, Steve and Nicky Fitzgerald were blazing the trail for sustainable tourism. The pioneering husband-and-wife hoteliers had long coveted this special parcel of land. 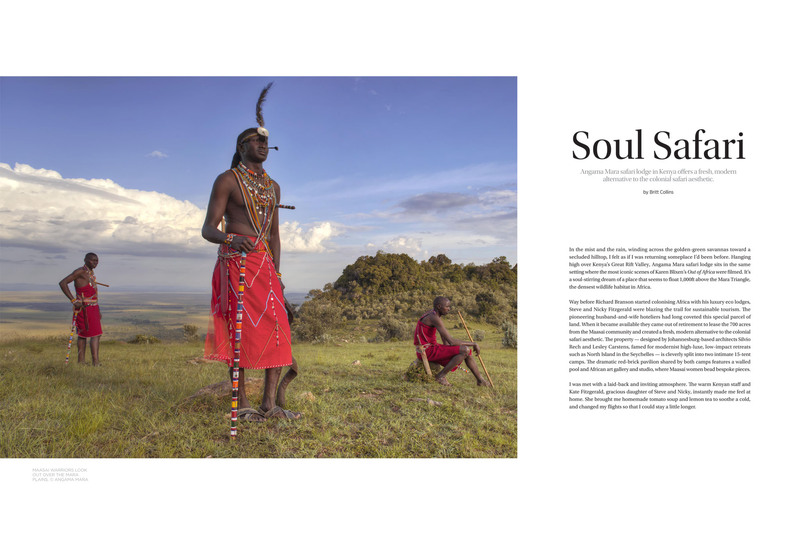 When it became available they came out of retirement to lease the 700 acres from the Maasai community and created a fresh, modern alternative to the colonial safari aesthetic. The property — designed by Johannesburg-based architects Silvio Rech and Lesley Carstens, famed for modernist high-luxe, low-impact retreats such as North Island in the Seychelles — is cleverly split into two intimate 15-tent camps. 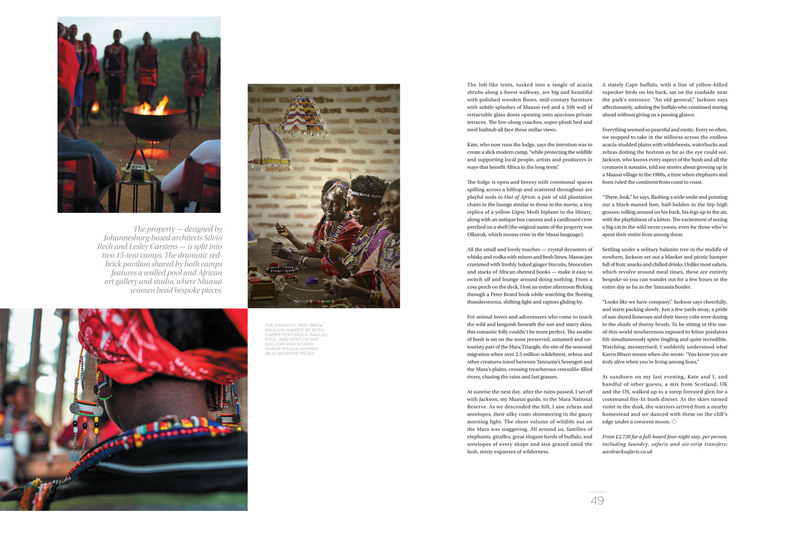 The dramatic red-brick pavilion shared by both camps features a walled pool and African art gallery and studio, where Maasai women bead bespoke pieces.